For the young ethron race, the Sea of Lidreau represented many things: a source of food, of salt, and the home of the westerly breeze. It formed an absolute boundary-- nothing that ventured far into its depths returned, save the sun. Every evening it sank into the ocean, and every morning it rose again in the east. They named it Lielqan, derived from an ancient ethron phrase meaning "one who returns". The choppy waves became Her domain, and none dared question Her dominion over it. Due to the nature of ethron oral histories, Her origin is disputed between clans. In some tales, She is Kyana's sister; in others, her daughter. Some describe Her as Elar's mother, while others believe She is the first ethron, shaped by the All-Mother Herself. These contradictions are at times woven into the same myth, asserting some, or all, to be simultaneously true. The tales do, however, agree on a few ideas: that she may be the oldest living being on the Prime Material, and that She stands between sapient life and the oblivion of Tzet-Askhari. The oldest stories in ethron folklore describe Her as a grim harbinger. In such myths, she would emerge from the depths of the sea to gather the dead or dying. Although they did not consider Her malicious, She remained an ill-omen; Her coming meant that death was close among them. This has made Her place in their collective consciousness a cold one, and one given less affection than Elar or Nariel. However, She is responsible for two important gifts to the ethron as a whole, both of which changed the course of their racial history. The first came during the War of Fire. While Elar bid the ethron to simply move away from the vast destruction sweeping the known world, not all were able to perform such a sudden and massive exodus. Lielqan offered them a new possibility: She altered their nature, allowing them to breathe underwater. This gift would allow them to dwell in Her domain beneath the waves, shielding them from death. Elar was displeased at this "adjustment" to Her children, causing friction between the two goddesses and their followers. Many "mermaid" sightings, spanning from Lidreau, to Lake Lithling, to the shores of Alensha, are attributed to this transformation. The second was not revealed until the age following the War of Night. While no one doubts the valor and strength of the ethron who battled the shuddeni in Qilarn, strange stories began to circulate from the refugees of Var Bandor who had found shelter among them. According to these witnesses, the ethron barely suffered any losses, despite spectacular bloodshed at the claws of demonkind. This, they said, was because Lielqani priests could restore the spirits of the fallen into new, living bodies. The notion sent shockwaves through Avendarian survivors, and soon the ethron were beset by foreigners. In time, Lielqan made Her mandate clear: She would act as as an intercessor for any mortal dead, so long as Her faithful asked. The scope of her protection, of course, has limits; but the very possibility of snatching a soul back from the jaws of the Dragon caused both distress and adulation. It would not be long before Lielqani priests imbued those of other faiths with the ability to recall the dead. However, the capacity to impart this ability has remained within Her priesthood. In the modern era, it has helped to ensure the sovereignty of the ethron race, possessing as they do a gnosis which cannot be stolen or perverted by others. Lielqan does not so much set boundaries as act as a intermediary between them. This places Her at crucial junctions, where a steady, impartial hand is necessary, such as between a sailor and the sea, or a spirit between life and death. Countless lives have passed through Her fingers in the modern era alone, and without judgment, She has led them onward, or returned them to their lives to soldier on. While compassionate in Her own way, Her detachment makes Her little-loved overall, especially outside of ethron circles. She seems impervious to this lack of sapient affection, as She shows no sign of stopping. Only when She can no longer shepherd the fallen does the Dragon get Its due. There is only one way in which Lielqan deviates from Her absolute neutrality, which is that She refuses to intercede for the any manner of undead. Such creatures, willing or no, are fated to return to their dreadful creator. Their mere existence, She holds, is a contradiction of Her most cherished edict; to Lielqan, Her primary goal is to oppose Tzet-Askhari by preserving the life that It despises. Otherwise, She is not a jealous goddess-- She will restore the most valorous of ch'taren and the cruelest shuddeni without a hint of hesitation. To Her, all mortals are individuals rather than systems, but their particular value to the world at large is not Her concern. "Lielqan does not judge. I do." Exclusively composed of women, the closely-knit coalition known as the Sisterhood of Aanqa have taken it upon themselves to lighten some of Lielqan's burden. Historically, they have been known as infiltrators or assassins, who seek out and eliminate targets who are likely to bring death to those around them. This may be an act of mercy, such as killing the infectious victim of a dreaded illness, or it may be the proactive murder of one who kills others frequently. Poison is often a weapon of choice for the Sisters, as it is both swift and used to brutal effect. An individual Sister's methodology is given a great deal of leeway; she has wide discretion into who (or what) she feels to be the most deadly to the largest number of people. 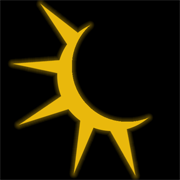 The Sisterhood favors ethron but not overwhelmingly, and draws from all guilds, making them as diverse as they are dangerous. "When the end comes, I will be here with you." Someone must experience the most dire of mortal circumstances, and such is the realm of the Boundary-Keepers. They have been known to act as final witnesses to the dying, and to seek out the greatest struggles and tragedies in their respective eras. In either case, it is they who compose the dismal songs or stories which will be retold for generations. Their melancholy interests make them intriguing to some and repellent to others, providing them with further fuel for their creative or historical whims. This can put them in concert, or conflict, with Chadraln's faithful, who tend to favor impartial, scholarly descriptions of people or events. Similarly, they may chafe at the behavior of the Vaialan faith, who often put a hopeful face onto tragic circumstances. Bards are the most common of this sect, given their flair for emotion and performance. "One life or a thousand, it's all the same!" Some, like Lielqan Herself, defend life in all of its forms. The Intercessors try most directly to save lives, even if it means that comes at great personal or spiritual risk. This may lead them to travel with adventurers on deadly missions to far-flung places, or more realistically, to put them alongside the least appreciated of Avendar's sapients. Healing the wicked is perilous without Lielqan's aegis, but those who serve the Sunset are usually able to walk that line without punishment. An Intercessor acts impartially, offering their talents to whoever they believe is in the most imminent need; in this way, they, too, deny the Dragon Its ultimate victory. Water scholars and templars are the most likely to choose the life of an Intercessor, but any who are willing to place their lives on the line for others on principle alone might find a place within. Lielqan's disciples know no particular identity, in that much of what they do is governed by their individual conscience. They may be daring and bold, hunting great predators such as sharks or lions; they may be quiet and reserved, ministering to the afflicted and dying; or they may be flamboyant or brooding, penning or singing the darkest of tales. However, their devotion to the natural, inalienable value of life is unwavering. They often consider mortal experiences to be particularly fascinating, as they highlight the highs and lows that make living so worth saving. Inevitably, they despise necromancers and their undead, as these abominations are a shallow mockery of what sapient life represents. Because of Lielqan's cold and somewhat morbid nature, this is reflected in Her chosen, who, while rarely evil, tend to have a wry or dismal outlook on the world at large. Her followers are seen throughout modern society, from the most remote ethron village to the largest of cosmopolitan city-states. They perform many functions, including tending altars and keeping records; healing the sick or wounded; performing funeral rites for those Lielqan did not return; and, of course, resurrecting apparitions before they become shades. Her chosen are frequently both diplomats and high advisors within ethron clans, as they tend to be sources of sound, if unpleasant, advice. Sailors, in particular, seek the favor of Lielqan and Her chosen, as they know Her as the arbiter of whether they return from Her oceanic domain, or perish in the deep. In the realm of adventurers, Her following is barred from the Champions of Avendar and the Coven of the Shunned, limiting their impact on the Great Houses. Bards, assassins, and Water magi are typical followers of Lielqan, but She is known to have an unusual care for ethron Void casters, existing as they do so close to the Dragon's jaws. Lielqan has few true allies. Her relationships within the ethron deific triad are strained at best; Elar does not appreciate Her interference with the form of Her children, and Nariel resents that She once thwarted a bold plan to steal death itself from the clutches of Tzet-Askhari. Despite this, they are frequently depicted together, and countless myths and legends are sung in ethron clanhouses throughout Avendar. Most deities are neutral on the subject of Lielqan, in that She offers additional time to their followers as well as their enemies. Jolinn at least tacitly approves of Lielqan, not only in that He allows Her to govern the transition between mortal life and everlasting oblivion, but that He has granted Her some governance over Water magic. If She has any direct ally, it is likely Chadraln, as Her willingness to give mortals additional time helps lead to the interesting future that He seeks. Aelin deities have muted appreciation for Her, mostly because they find Her tragedies deeply aesthetically appealing. The most important relationships that Lielqan has are with Sitheus, Enirra, and Ashur. As the architect of necromancy and its largest deific proponent, Lielqan charges Her followers with striking out at His creations at every opportunity. This relationship, however, is quite one-sided, in that the Dispossessed seems disinterested in Her at best, focused as He is on Sythrak and Fenthira. Enirra is likely Her greatest direct enemy; the Herald considers Her refusal to judge the impact of individuals She returns an absolute perversion of cosmic balance. Perhaps predictably, Lielqan is unconcerned by that argument and dismisses it. Above all, Lielqan despises Ashur, the source of all death. What It thinks of Her is unknowable, but not even She can permanently prevent It from devouring sapient lives.